1) How do I move this timer to a certain position? Which file is responsible for it? 2) How to remove this? You may also want to check out HUDDamageAccount.res in resource/ui to edit the actual text. Go into resource/ui/HUDPlayerHealth.res and enable the PlayerStatusHealthBonusImage by setting visible and enabled to 1, changing the wide and tall values from 0 or moving the X and Y values until it is on screen. After this you should get that background at all times, if not there are more of those files you have to make eg. "background_mvm, background_2fort" etc. I hope this helps. but it always shows up as just "Welcome" and nothing else. Any ideas? TF_Welcome is already declared to say welcome. Just change it to tf_rawrsor_welcome or something. You need to get the files from here, more exactly loadingdialog.res and loadingdialognobanner.res, the thing is that you can't move it, it's stuck in the corner. 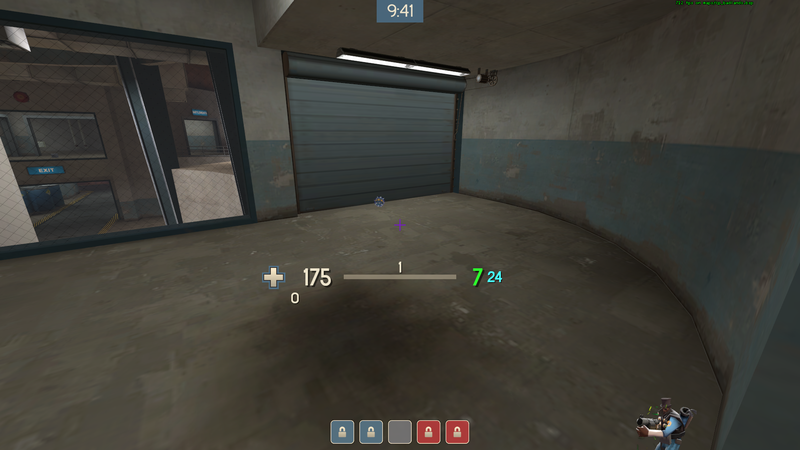 You need to get the files from [url=https://github.com/MFSTATE/tf2basehud]here[/url], more exactly loadingdialog.res and loadingdialognobanner.res, the thing is that you can't move it, it's stuck in the corner. Does anyone know how to remove the white borders found around the payload meters and the control point meters? I specifically want this for broeselhud_blue (http://i.imgur.com/KjQakrk.jpg). Its one of the only in-game changes I have left to do. Also, how do you add a 'Go to Inventory' button on the team selection part of the hud? How do you make it bound to E in the hud? MightyDoes anyone know how to remove the white borders found around the payload meters and the control point meters? For the borders, afaik the only ways to change them are edit the texture file (which won't work on sv_pure 1 servers) or add in a bunch of rectangular imagepanels all around them with the color you want. [quote=Mighty]Does anyone know how to remove the white borders found around the payload meters and the control point meters? I'm currently dealing with some closecaption updates. I've manage to update/compile closecaption_english.txt into closecaption_english.dat format; and placed them into custom/[hud_files]/resource but it doesn't want to work. If I place them into custom/[completely separate folder]/resource, then it works. It will probably work if I convert it into .vpk format. Do I need the March 2015 captioncompiler.exe where such issue was fixed and got broken at later on (Latest update on this file was in 16th July)? Hope you guys understood what I just said and can help me! Could someone tell me why this text appears in a corner when I'm spectating people while dead? Could someone tell me why [url=http://imgur.com/he62jyW]this text[/url] appears in a corner when I'm spectating people while dead? a couple days after the gunmetal update i heard this wasn't fixable, but im wondering if anyone's figured out how to NOT have neon green values on their scoreboard? redda couple days after the gunmetal update i heard this wasn't fixable, but im wondering if anyone's figured out how to NOT have neon green values on their scoreboard? Make a copy of each stat (Kills, Assists, Deaths, etc. ), rename it whatever you went e.g. Kills2, as well as the fieldName, and visible 0 the original one. Tedious process, but it works. NokkTedious process, but it works. How do I get RED and BLU buttons in my backpack? I can't find a legit answer anywhere. MightyHow do I get RED and BLU buttons in my backpack? I can't find a legit answer anywhere. "command"       "engine sv_cheats 1;r_skin 0"
"command" "engine sv_cheats 1;r_skin 0"
Hi guys, I've had this problem with randomizer for a while now. 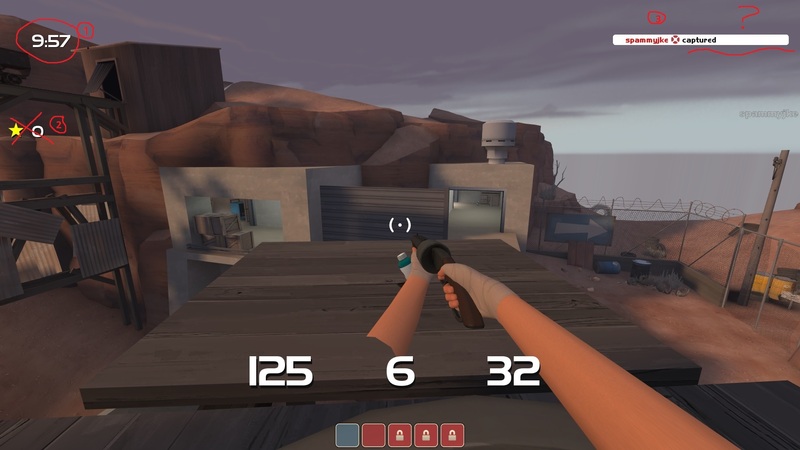 In My hud, a modified broselhud, anything with a count or charge like demoman's shields or ubercharge is cut off, while in other HUDs like EVE hud or rayshud, its perfectly normal. 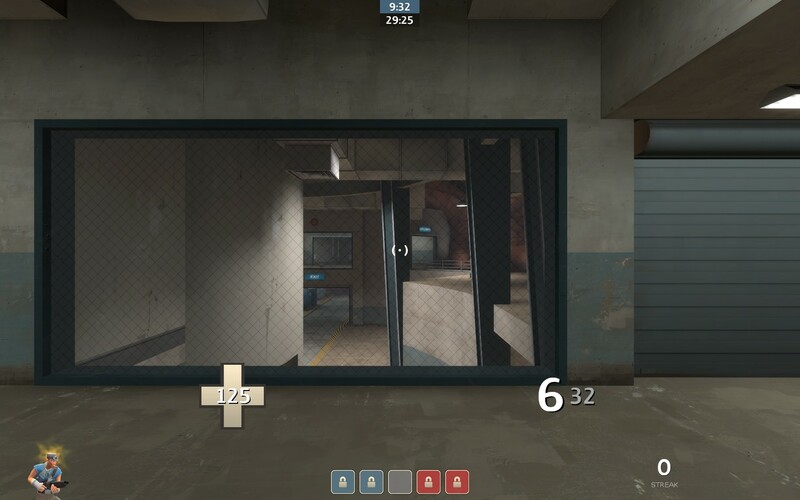 In My hud, a modified broselhud, anything with a count or charge like demoman's shields or ubercharge is [url=http://imgur.com/xxHuHmY,xdDw4EM#1]cut off[/url], while in other HUDs like [url=http://imgur.com/xxHuHmY,xdDw4EM#0]EVE hud[/url] or rayshud, its perfectly normal. ninjajiroHi guys, I've had this problem with randomizer for a while now. Looking at the fonts, it looks like it's a Randomizer problem more than a HUD problem. Maybe it's just Randomizer being weird with some meters and normal with others? [quote=ninjajiro]Hi guys, I've had this problem with randomizer for a while now. Jerm ninjajiroHi guys, I've had this problem with randomizer for a while now. [quote=Jerm][quote=ninjajiro]Hi guys, I've had this problem with randomizer for a while now. I would like someone to help me 1 on 1 with customizing broeselhud blue- pretty simple stuff with damage numbers, color schemes, and sizing. How do you add the health cross in rays hud Min-mode version? t4nkurHow do you add the health cross in rays hud Min-mode version? Like the cross separated with the hp number. [quote=t4nkur]How do you add the health cross in rays hud Min-mode version?